This looks more complicated than it really is. The truth is that, in order to pull off this elegant meal, you only need to know how to put things inside a split chicken breast open and turn on the oven. That's, um, about it. 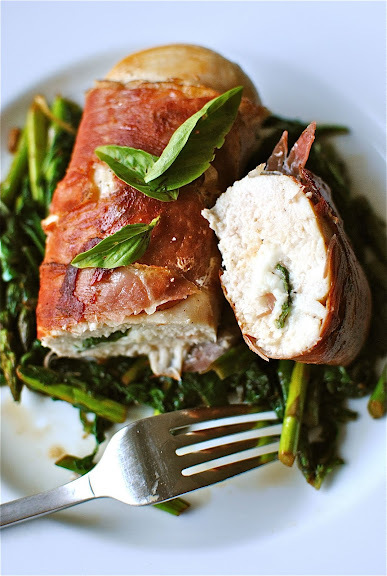 Visit Bev Cooks to learn how to make prosciutto-wrapped chicken with basil and cheese stuffing.